Trailers | ATRO Engineered Systems, Inc.
For fleet owners and long haul truckers, your trailer is your life blood. And keeping it on the road is critical. 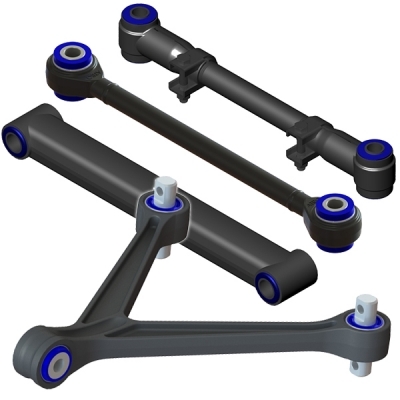 Whether it'smaintaining your trailer suspension system, fifth wheel or bumpers, ATRO features a long list of polyurethane parts that exceed the performance and life of OEM rubber or other polyurethane replacement parts. 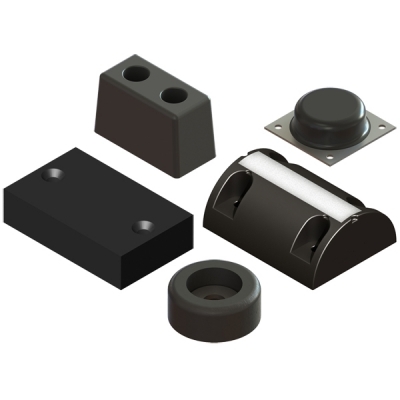 This includes wear pads, spring axle pads, spring end pads, cast equalizer beams and bushings, trunnion bushings, severe duty bushings, pivot bushings, drawbar eye bushings, eye bushings, spring end bushings, hinge bushings, Air Ride bushings, trailing arm bushings, walking beam bushings, pivot arm bushings, shock bushings, drop axle bushings, control arm bushings, spring pads, spring end boots, reach cradles, vibration mounts, bump stops, axle wrappers and axle pads. ATRO trailer bumpers feature long-life, shock-absorbing polyurethane that significantly outperform and outlast OEM rubber and other generic polyurethane bumpers. 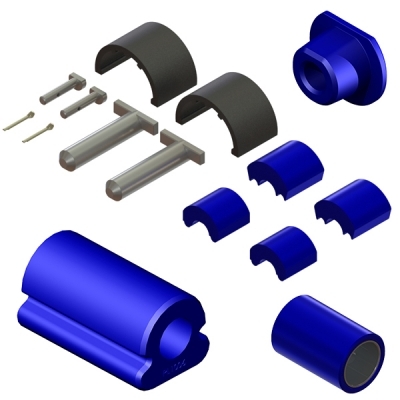 For example, in this TEST ATRO's polyurethane bushing was still functioning after 250,000 cycles where the OE rubber bumper failed at just 16, 520 cycles. The same results we see in our test labs are realized in the field every day, resulting in less downtime and a reduction in cost. 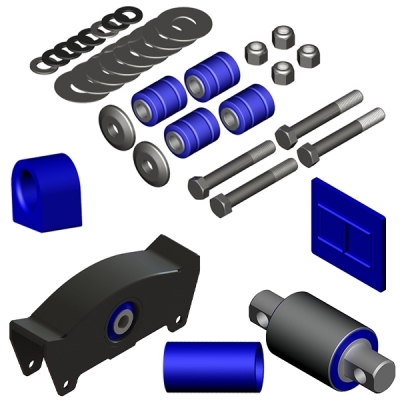 Full kits with hardware and multiple parts to completely service your trailer suspensions are also available. And with ATRO's industry-leading Three Year Warranty, you can count on that part like you count on your trailer.